In 2016 it was the fifth year, and at the new venue of Chorleywood Common Youth Football Club, at Saturday’s show attracted record numbers of both exhibits & members of the general public. Next year confirmed for Saturday 15th July 2017. Raising £7,326.77 for the Peace Hospice Care, also raised for Chorleywood Common Youth Football Club. 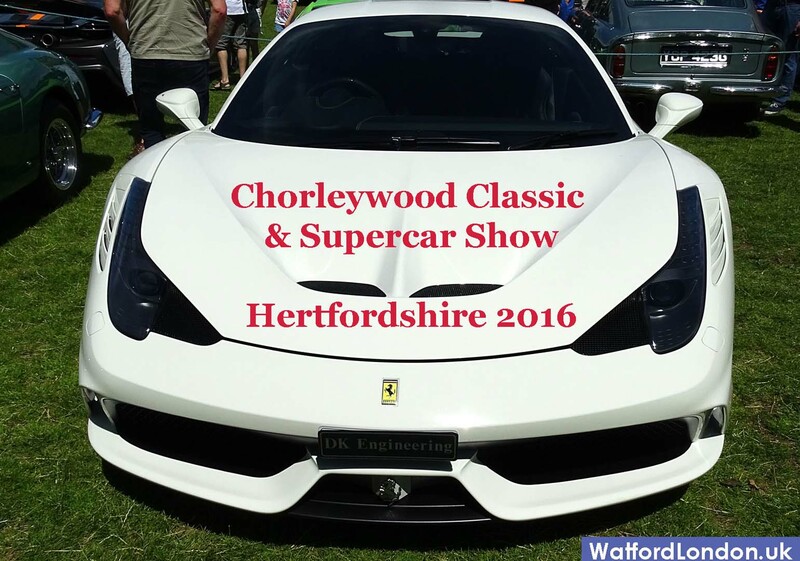 Watch the video were show founder and organiser and Chorleywood resident, Guy Davis speaks about the event and highlights the main star atttraction, and some of the vehicles exhibited. The McLaren P1™ follows in the footsteps of the iconic McLaren F1,capable of reaching speeds of 218 mph (351 km/h). Please email events@watfordlondon.uk or use our contact form to get let us know.